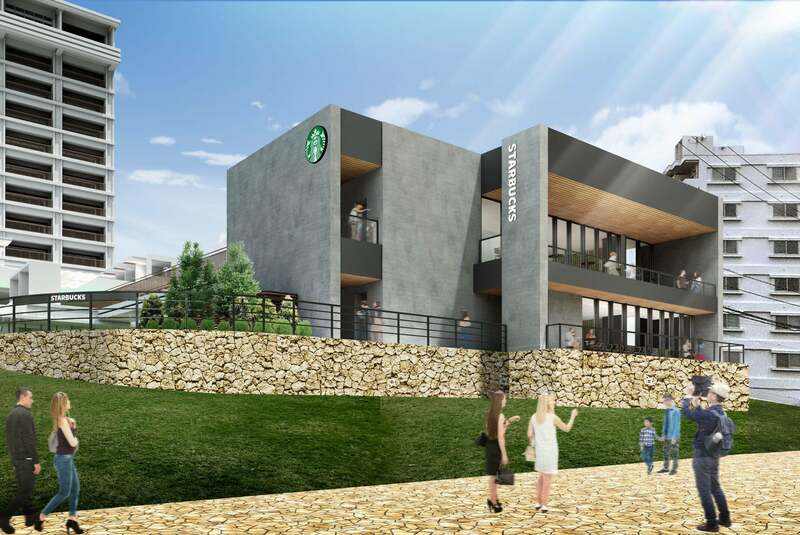 Starbucks will open a new branch in Okinawa’s northern town of Motobu on March 22, 2019 in an effort to promote sustainable development of companies and to establish a place to promote that effort to people around the world who will visit. The branch itself will be a permanent drive-through coffee shop at the Ala Mahaina Condo Hotel located near Kaiyohaku Park. The shop’s design concept is “Coffee Yuntaku.” Yuntaku is an Okinawan word which means to sit and chat together. Starbucks aims to create a place that establishes lots of communal ties to the region and its people by opening this new branch for both locals and tourists to enjoy. As customers walk up to the two-storey concrete building they are greeted by Shisa, Okinawan gods of protection. Decorating the outside wall are panels made in the image of the threads woven in the Ryukyu Kasuri style of weaving. The foundation of the building is Ryukyu limestone made from the ocean and coral reefs. These adornments give this Starbucks branch a more local and regional. Starbucks announced in July last year that it aims to abolish the use of plastic straws at all of its branches by the end of 2020. 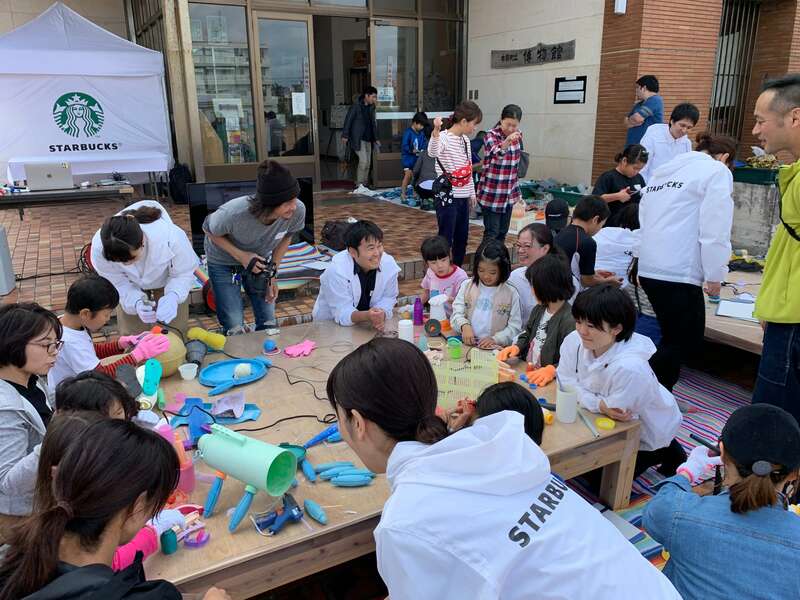 Plastic is used and thrown away in Japan too, so to cut the amount of plastic, Starbucks Motobu is arranging to contribute to the development of sustainable development companies. As part of the action to combat plastic waste, the branch will use plastic that has found its way into the ocean as material for creating original art. Japanese artist Yodogawa Technique creates art from rubbish and driftage from both inside and outside Japan. 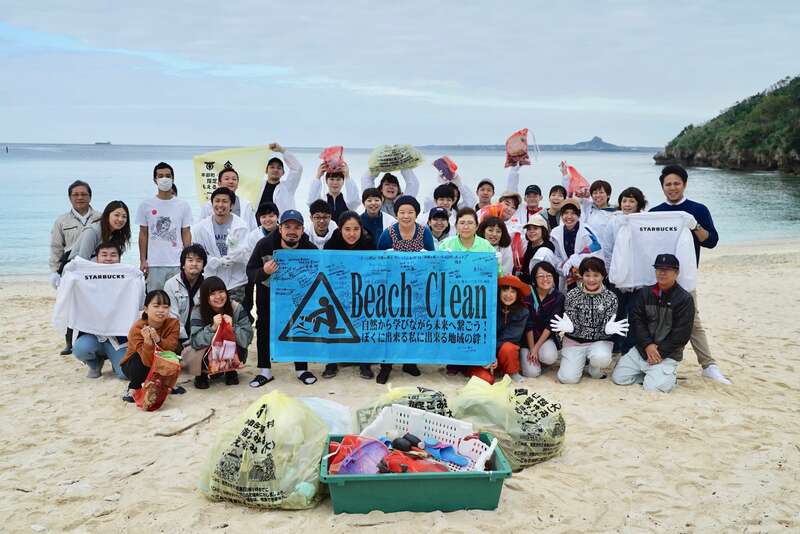 Under his wing, the Okinawan baristas will work together with the locals to clean the beaches of plastic. 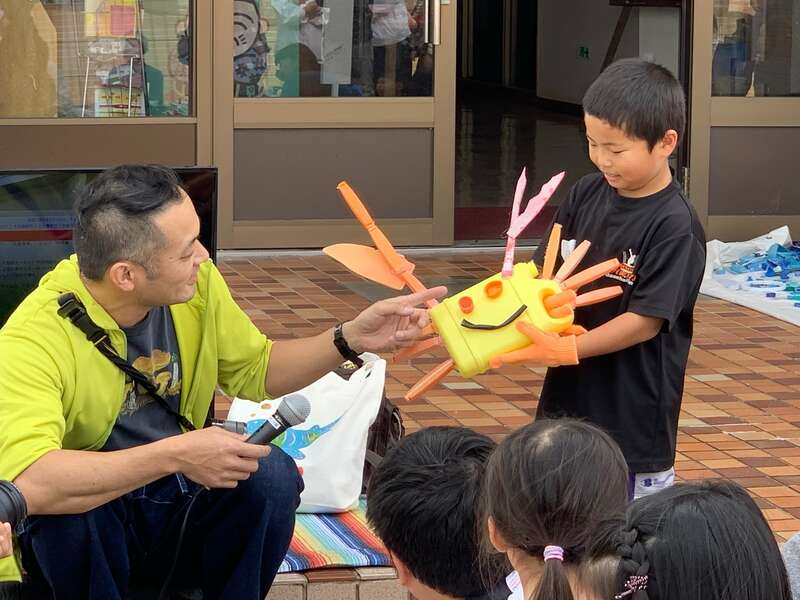 Yodogawa carried out a workshop with elementary school kids in Motobu to create little art pieces from plastic which were used to form one giant piece of fish art. The tables on the first floor of the coffee shop are also made by Okinawan artisans using Okinawan pine. If you’re ever in Okinawa, be sure to stop by the community-driven Starbucks in Motobu.